Palestinian medical sources have reported that Israeli soldiers killed, on Tuesday evening, a young man east of the al-Boreij refugee camp, in central Gaza Strip. 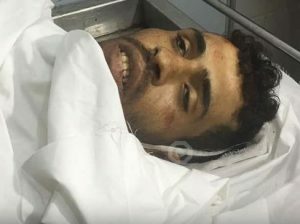 The sources said Ahmad Omar Arafa, 26, died from serious wounds at the Al-Aqsa Hospital, in Deir al-Balah, in central Gaza. 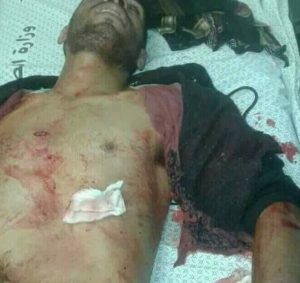 They added that Arafa was shot with a live round in the chest, after the soldiers attacked dozens of Palestinian protesters, east of the al-Boreij refugee camp. His death brings the number of Palestinians who were killed by Israeli army fire since Friday, March 30th, to 18, including sixteen killed that day alone. 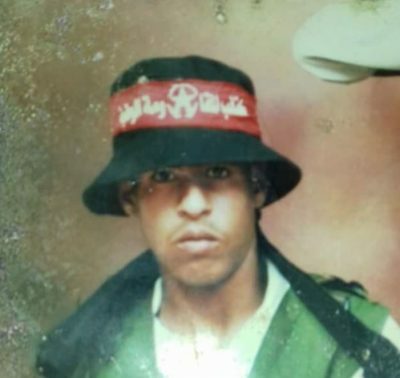 The Democratic Front for the Liberation of Palestine (DFLP) issued a statement mourning his death, and added that he was a member of its National Resistance Brigades. In related news, the Israeli army said it will continue the implementation of shoot-to-kill orders against Palestinian protesters who approach the border fence, despite international condemnation. Israel also refused an international investigation into its excessive use of force against the Palestinian protesters, and vowed harsher measures.